In our journey working with people from all walks of life, we have run into a number of myths, which were either true during another era and are now false, or which were never true, and the result of urban legend. These myths are destructive to career fulfillment. Which of these may be getting in your way? Myth 1: “It is the job…” If you are unhappy at work, it may be the job, or more exactly, how your personality, skills or values fit the job, since some people presumably enjoy it. However, sometimes it is not the job, it is you. Some people lack the psychological equipment or skills to be satisfied (and there is a genetic component to happiness). Others may have difficulty forming harmonious relationships with people. If you fall into one of these categories, you will bounce from job to job with the same lack of fulfillment – as they say in Zen, “wherever you go, there you are…” Nothing is more depressing than making the same mistake over and over again, changing jobs because you are unhappy, then finding yourself just as unhappy. If you might fall into one of these categories, get some counselling, it can make a huge difference with an issue that might well follow you around for life. 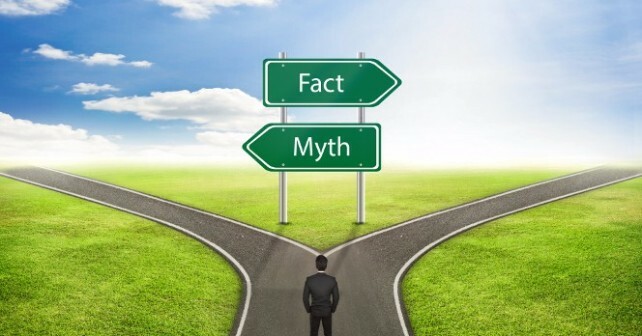 Myth 2: “I’ve come this far…” In psychology, this is called the “sunk-cost fallacy”, and it keeps people in bad jobs, relationships, and investments for longer than they should stay. Sure, if you are highly specialized and in the final years of your career, then your ability to ‘pivot’ your career will be somewhat constrained. But if you are in your thirties, the notion is faintly ridiculous. As Nietzsche said, “Many are stubborn in pursuit of the path they have chosen, few in pursuit of the goal.” You want to be stubborn with regard to the goal, but flexible with regard to the path. Myth 4: “Great careers are often a product of luck, being in the right place at the right time…” Here there is a grain of truth, yet we believe (as did Gary Player) that “the harder you practice, the luckier you get”. The name of the game in today’s crowded and networked world is what we call ‘managed serendipity’ and that means putting yourself in positions where you are likely to ‘get lucky’. In this regard, most people will benefit from a strategy and a plan. Myth 5: “There is one perfect job for me…” Many roads lead to Rome, and life is full of ‘side-constraints’ that mean trade-offs have to be made. Your goal at any stage should be to take the ‘next best step’ that you believe helps you move smartly towards your overall goal (see Myth 2). Myth 6: “My career has to be linked to my college degree…” After a certain age, nobody cares. Even right after college, only about one quarter of college grads work in an area related to their major. As a general rule, employers care more about the quality of the university, and the difficulty of your major (say chemistry versus media studies), than they do about the specifics of your knowledge. Myth 7: “It is a numbers game.” It is and it isn’t. You may certainly, at some stage, send out a lot of queries and applications, but well-targeted ones are where the gold is. When this author was applying for jobs in his ‘sweet spot’, about 80% of his applications produced an interview. A shotgun approach may not yield even one interview in 100 applications. Catalonian??? Where did you get this idea? The poem you quote from is by Spanish poet Antonio Machado, a native of the southern Spanish region of Andalusia, very far from Catalonia. The poem itself is from his book “Campos de.Castilla”, which he wrote while living the the Castillian town of Soria, also very far from Catalonia. Perhaps you got confused because the poem is referenced by the Catalonian singer Joan Manuel Serrat in one of his songs (sung in Spanish, not In Catalan).